Got in line at 10:00am and only had about 50 people ahead of us. By 11:00am there was over 100 behind us. Sat down close to noon but it was worth the wait. We ordered brisket, sausage, beef and pork ribs. Brisket was tender/juicy...melted in your mouth good. The sausage and beef rib were awesome. The pork ribs were just okay...nothing special for me. 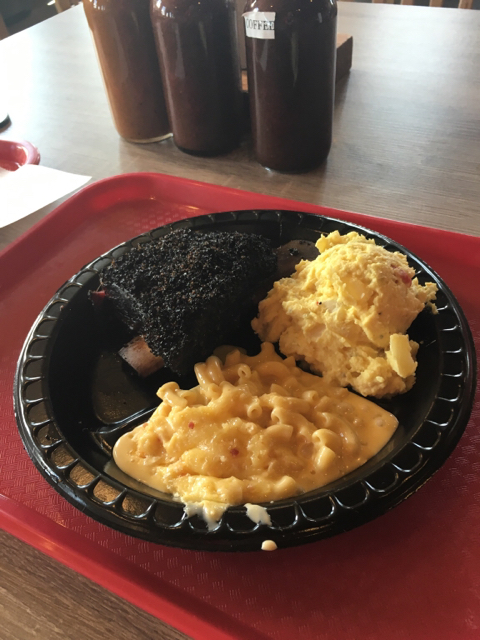 Everything had a taste of smoke and pepper which isn't a bad combination. The sides were amazing and desserts...OMG. Bread pudding to die for and if you like cobbler...wow. Three BBQ sauces on the table but I never used any. Left the place around 1:00 and there was over 100 people still in line. Looks tasty ! I guess a fellow has to wait in line these days to get good 'que. Gator wrote: Looks tasty ! I guess a fellow has to wait in line these days to get good 'que. Nah, we make it ourselves. It doesn't help the long lines that TripAdvisor and Yelp both gave them 4.5/5 stars, and the Houston Chronicle ranted over them. Sure looks good. Ate at Killens in October. Brisket was good but not as good as Franklins. I thought the ribs & pulled pork were OK. Beef rib was fantastic! The best side dish was the creamed corn. lawdy that was tasty! We went on a Friday at noonish. Got there about 12:30 and had 75 folks in line. But the line moved fairly fast compared to Franklins. When we left there were still 75 to 100 in line and it never got any smaller. Article I read on Killen said his first month grossed $250,000. He said it took his steak restaurant 4 years to gross $250,000 in a month! I would not stand in line for 3hrs to eat with the Queen of England , that plate looks great but not that great! What did it cost? Some people have to much time on there hands . I literally live right around the corner. (About a 5 minute walk from my house). 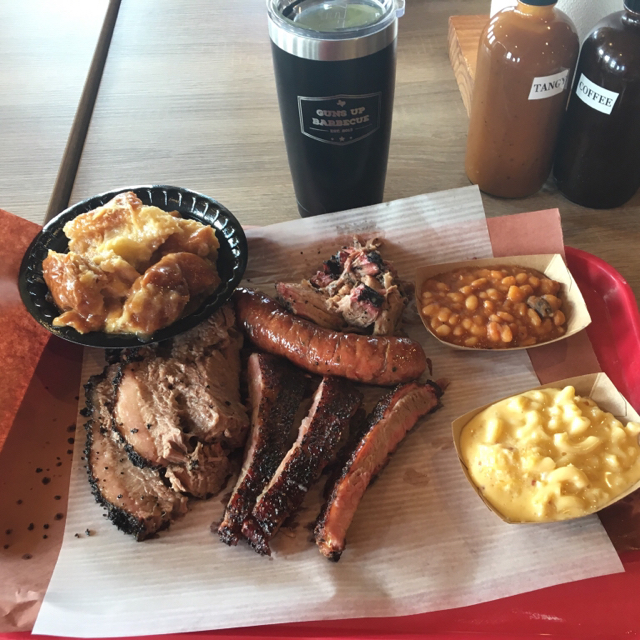 The brisket and beef ribs are my go to and the creamed corn and bread pudding are amazing. He used to have a number system where you could pull the number and come back in line but that only last a few weeks. what sets Ronnie Killen above all the rest is..
he may be a "local" from Pearland..but.. Finally tried this place and it was fantastic. Outstanding Q and the prices were excellent. (55.00 for the pictured food and sodas.). What makes this place stand out to me is in addition to meats that compare to the best in TX is their sides. Each one was fantastic and the best bread pudding I've ever had for dessert. Sadly I didn't get a pic of the fried mac and cheese.